Follow along as Landan walks you through how to install Steeda camber plates on your 2015-2019 Mustang. Ensure your alignment is where it needs to be after a lowering spring install with Steeda's 2015-2019 Mustang camber plates! After you install lowering springs, the suspension geometry is thrown off which can cause uneven tire wear as well as a loss in steering response. The factory plates do not have enough camber adjustment in them to correct this suspension change. 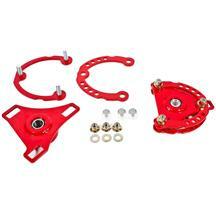 Steeda has engineered their camber plates to have the most adjustment of any plate on the market! Be sure and remove the lug nut before reinstalling your wheels & repeat these steps for the other side. Drive your car to your local alignment shop to have your car professionally aligned. Ensure your alignment is where it needs to be after a lowering spring install with Steeda's 2015-2018 Mustang camber plates! After you install lowering springs, the suspension geometry is thrown off which can cause uneven tire wear as well as a loss in steering response. The factory plates do not have enough camber adjustment in them to correct this suspension change. 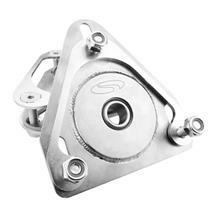 Steeda has engineered their camber plates to have the most adjustment of any plate on the market! When you lower your vehicle, it will result in your tire sitting too far inward or outward when looking at the car from the front. This is called negative or positive camber. 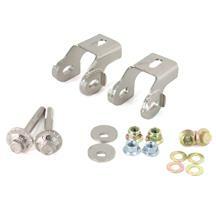 Steeda's adjustable Mustang camber plates allow you to easily correct this to ensure your tire is sitting evenly. These plates have camber adjustment from -0.3 degrees to -2.8 degrees which is the most of any plate on the market! This will also result in increased front grip, steering response, and reduced understeer for the best driving experience possible. 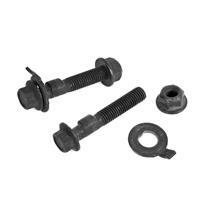 Steeda is well known for the highest quality, American made parts available for your Mustang. 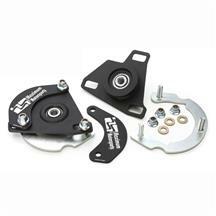 These 2015-2018 Mustang Steeda camber plates feature stainless steel, Teflon-lined bearings that sit in a Nickel-plated bearing housing. The plates are Tig-welded and CNC machined to exact tolerances for a perfect fit. All of this is held on with grade 10.9 hardware with nylock nuts. All of this is backed by Steeda's lifetime warranty. What’s up everybody? 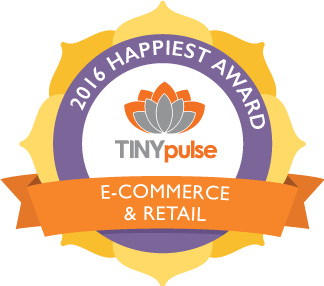 Landan here with LMR.com! Today I’ll be discussing the importance of Steeda’s camber plates and why you them for your lowered 2015 to 2018 Mustang. If you plan on lowering or have already lowered your S550 Mustang and need additional camber adjustment; then these camber plates from Steeda are a must have. Camber plates are needed to properly correct suspension geometry on lowered S550 Mustangs. Excessive negative camber will cause pre-mature tire wear resulting in more money spent later on down the road, and of course will provide horrible handling characteristics. All of that non sense is easily corrected with a set of camber plates from Steeda. These plates are made in America with the highest quality stainless steel for the ultimate in reliability and performance. Steeda’s camber plates are ideal for any lowered street or track-duty Mustang, and are specifically designed for the S550 chassis and its front suspension system. Each plate will incorporate a nickel-plated bearing housing that is tig-welded and CNC machined with the exact tolerances. Teflon-lined bearings will ensure proper bearing articulation and all of this is fastened together with metric grade 10.9 hardware and nylock nuts. From the alignment perspective, each plate will provide an adjustment of negative .3 degrees to negative 2.8 degrees. No permanent modifications are required to your car and these camber plates are designed to fit all 2015 to 2018 Mustangs. In the box will be two camber plate assemblies and new nylock nuts for those of you still running factory struts. Position the spindle into the strut and align the holes. Now as far as installation goes guys, bet on a few hours from start to finish. I would recommend average mechanical ability to install these camber plates into your car. Of course, once you get everything tightened back up, run the car down to your local alignment shop and have them properly dial in your alignment. For us, we usually request a little more negative camber because our cars see several open track events throughout the year. All in all here fellas, I highly recommend Steeda’s camber plates for all S550 Mustang enthusiasts. To see more products from Steeda for your Mustang, be sure and subscribe to our YouTube channel if you haven’t already done so. 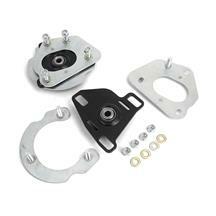 These Steeda camber plates are currently available from the real Mustang enthusiasts, LMR.com!